Available in 10kg or 20kg tins. The same resin is applied as the first and second coat. Requires Flexitec 2020 Powder Hardener and Res-Tec 225g/m2 CSM. Flexitec 2020 Primer required for some surfaces. Winter accelerator available for applications between 1 - 5°C. 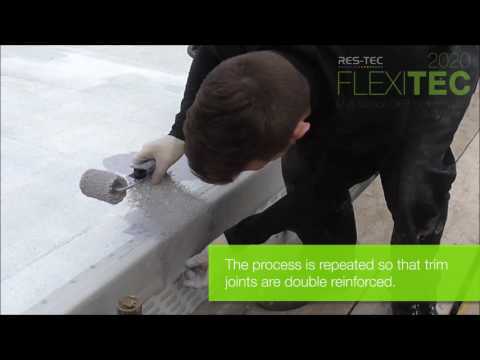 Flexitec 2020 is based on proven technology that has waterproofed hundreds of thousands of square metres within the commercial specification market.